Leave your audiences breathless with this Aerial Silk Show. An acrobatic aerial act that will defy gravity. Suspended high above the guests on flowing silk fabric, the skilled aerial artist will perform a breath-taking acrobatics routine that will captivate the guests. Be surprised by fast swoops, turn and spectacular falls to the ground. This act is very visual and takes place high above the heads of the viewers. 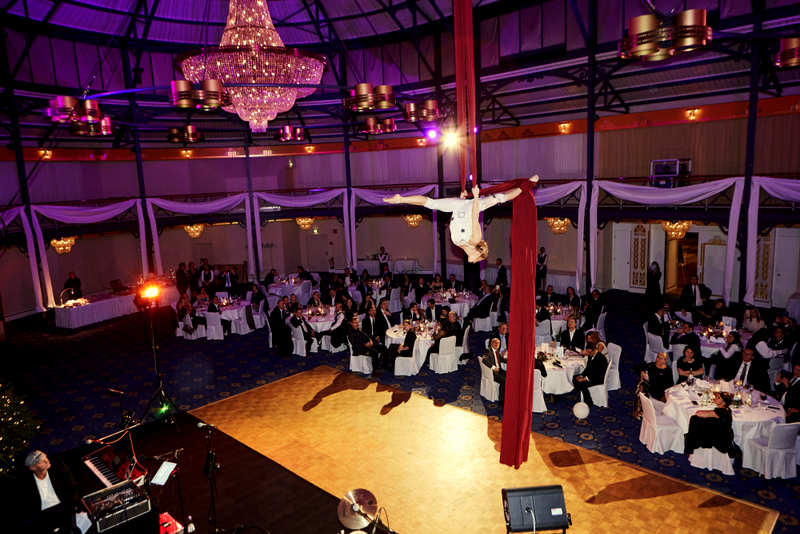 Let your guests enjoy a high-level aerial performance including beautiful figures and powerful movements. 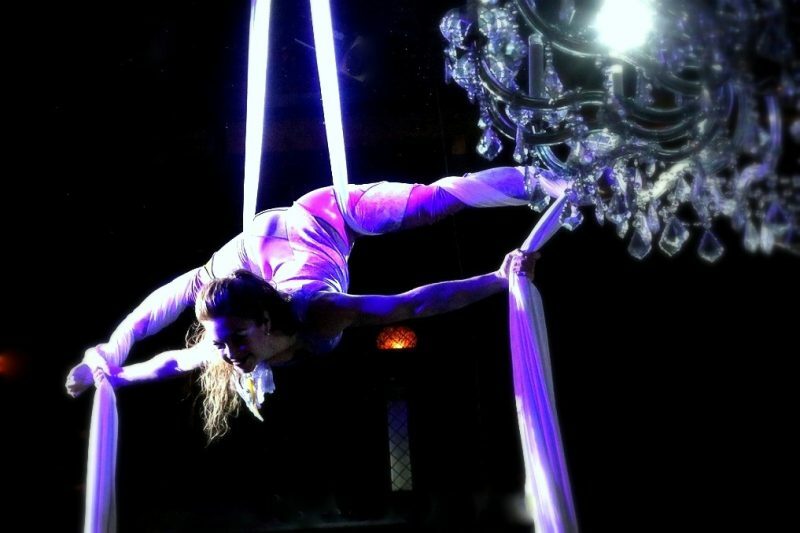 Wheel Sensation unites grace and agility with the fascination of weightlessness to a stirring live performance. For spacious locations, the duo Aerial Silks Show is a perfect choice. Performing synchronized on two silks or together on one fabric. This is the perfect combination of elegance, beauty and strength! The duo performance features many dynamic elements and incorporates breath-taking tricks. 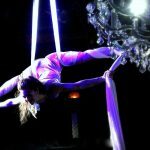 If you’re looking for something striking and spectacular at a venue with a high ceiling, our aerial silk show is a truly stunning performance that makes the most of your space. 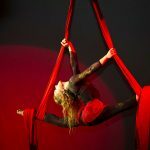 Both solo- and duo acts can be customizable, so whether you require the aerial silk artists to perform to a requested song, create a personalized choreography or wear some costumes that fit your event’s theme, everything is possible! Customization: We are happy to adapt our show to special wishes. Theme, outfits, music and duration is flexible and individually selectable on request. 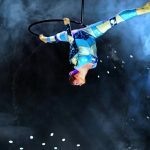 Wheel Sensation presents a unique, graceful and exciting acrobatic show in the Aerial Ring. The audience experience a change between elegant movements and fast, breathtaking twists. The artist swings through the air accompanied by entertaining music. Finest nuances in motion create long lasting images and memories. Enjoy complex acrobatic moves and energy-filled choreographies performed with elegance and precision! The LED effects make this act an innovative and eye-catching show. 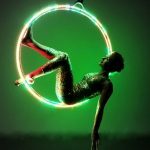 The brightly lit aerial artist creates elegant shapes, balances and acrobatic moves. 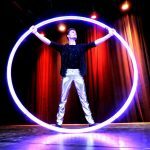 If you are looking for a wow factor glow act the LED hoop will be the ultimate choice. A completely customizable glow act, the colour of the LEDs can be set to accommodate your event’s theme. Depending on the available space, the aerial ring will hang high in the air and can swing through space. 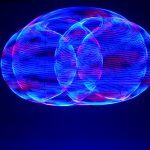 LED aerial hoop is a beautiful entertainment option for both indoor and outdoor events and will light up any darkened room or night sky. No rigging point at your location? Then German Wheel, Cyr Wheel or Partner Acrobatics are the perfect acrobatic shows for your event!